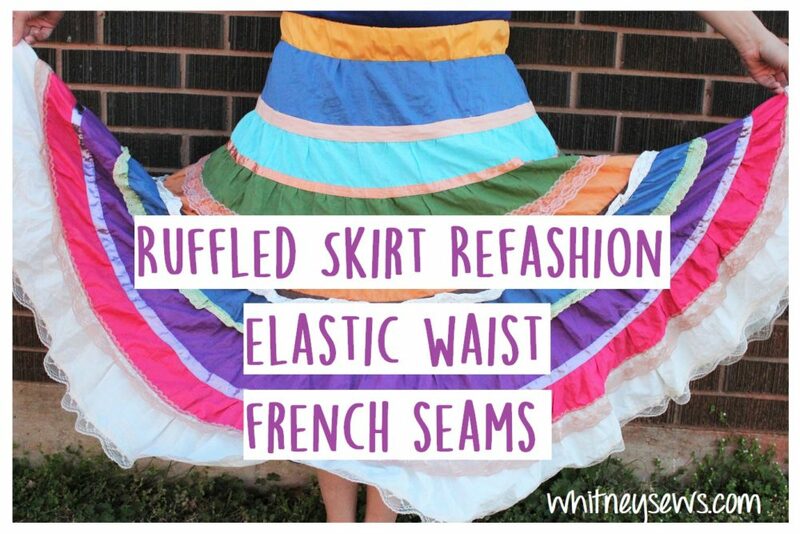 I bought this beautiful ruffled skirt back in Fall 2009! 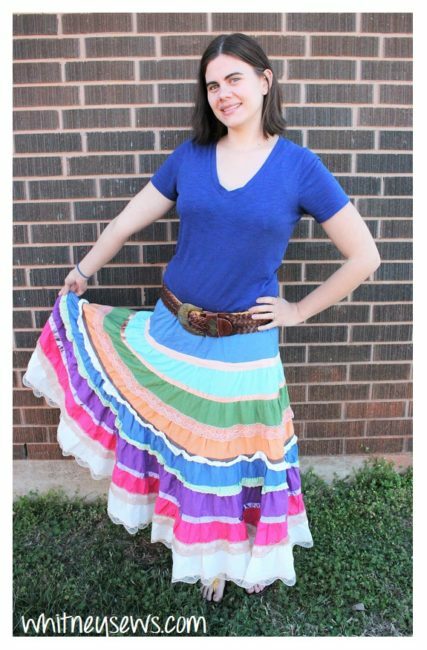 I fell in love with the different colors and how flowy the skirt is. Unfortunately the skirt is a size 1X, so in the past 8 years I have worn the skirt zero times. Even when I was pregnant and at my largest size I could not make the skirt fit. Over the years I wanted to refashion the skirt. My plan for a very long time was to make it a strapless dress. But I don’t even like wearing strapless dresses! Then I thought of the idea of making it an adjustable wrap skirt. But there really isn’t quite enough material to make the wrap over part look right. So I waited and waited, doubting my ideas, doubting my skills to do the skirt justice, and afraid I would ruin this lovely skirt that I love so much! I finally realized the skirt didn’t need anything fancy at all. It just needed the existing invisible zipper cut out (which involves cutting the entire side seam out) and an elastic waist added. So simple! I cut the side of the outer and lining open and cut the zipper out. Then resewed them closed with a french seam to tuck the seam allowances away inside. Then I made the elastic waistband the same way I showed HERE! Simple as that, the skirt is done and now fits perfectly! I can wear it was a shirt tucked in and a cute belt or with a shirt hanging loose over the top. Watch my full step-by-step refashioning video HERE! I hope you enjoyed this tutorial. I can not wait to wear my fun “new” skirt! Did you know I have a second channel where I post vlogs and other fun videos?? You can watch the behind-the-scenes vlog from this refashioning HERE! 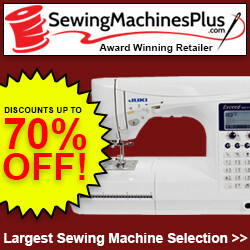 This entry was posted in Blog and tagged Clothing Repair, DIY, How to, Refashion, refashion your style. ← Sew Your Stash Update…Finally! I would love to hear how your hat turns out! Best of luck with the chemo; I’ll keep you in my prayers!